Mahiben serves as Senior Fellow to the CEO of NHS England focusing on national strategy and operations. 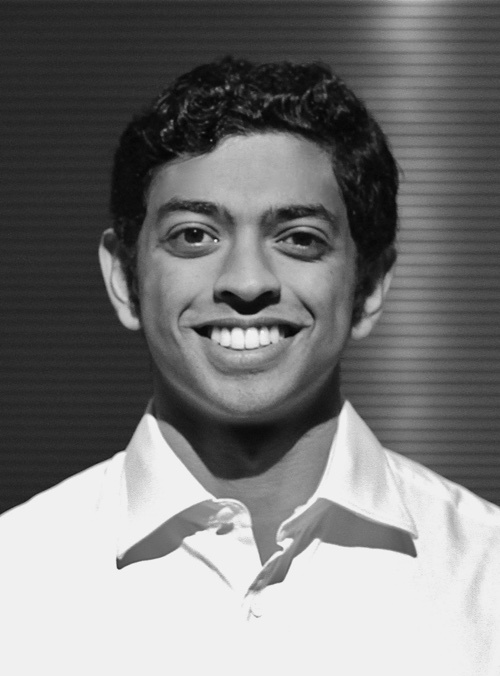 He recently co-founded the NHS Innovation Accelerator (NIA), and earlier this month became the first person from British healthcare to be included in Forbes 30 under 30. Read NIA press release. The application process will run until 12 noon on 27 February 2015. Read more on the official NHS England Innovation Accelerator page. Previously, Mahiben was a foundation doctor in North West Thames. He has advised a range of organisations, from startups to governments to multilaterals, including Switzerland, the Experiment Fund and the WHO. He has a strong interest in research with over 60 peer-reviewed publications and 50 awards; his work has been featured by BBC News and international press. Mahiben is Chairman of the UK Medical Students’ Association (UKMSA), and has authored three medical education books. He was educated at Oxford, Cambridge and Harvard Universities. You’ve recently launched the NHS Innovation Accelerator (NIA). Can you tell us more about the programme and what you are offering? The NIA programme builds on the proud NHS tradition of leading healthcare innovation, with particular focus on scale and adoption. As outlined in NHS England’s Five Year Forward View, the NHS is facing many pressures, including an aging population, more long-term conditions, rising costs and constrained budgets. State-of-the-art, cost-effective solutions and new ways of delivering care are essential to improving the health of the nation. The NHS Innovation Accelerator will help to deliver these priorities. The programme will select up to twenty healthcare pioneers, and their tried and tested innovations, from the UK and internationally, with the first wave launched in January 2015, through an open application process, scaling enrolled innovations across parts of the service to improve care and reduce costs. NHS England and the hosts for the programme, UCLPartners and the Health Foundation, will work with the selected pioneers and NHS organisations to achieve this. What sets the NIA apart from other tech and healthcare-specific startup accelerators? The NIA focuses specifically on scaling tried-and-tested innovations that improve patient outcomes, while maintaining or reducing costs. Unlike other accelerators, its built from within the NHS and takes no equity, focusing on diffusion and adoption. What led you to set up NIA and what are your ambitions for it going forwards? The NIA is a collaboration between NHS England, UCLPartners and the Health Foundation. It was developed to deliver on elements of the Five Year Forward View – specifically on accelerating the adoption and uptake of healthcare innovation – to improve the care we offer patients, while reducing costs. What do you anticipate will be the greatest challenges as you establish and develop the NIA? Achieving scale in the NHS has been previously cited as difficult, and while we aim to directly focus on this using a broad range of resources and partnerships, it’s important to recognise that this will be challenging. What are your top 3 tips for medics who are interested in building their own a startup? First, identify a specific problem in healthcare and develop a specific solution. Second, recruit an excellent team. How well you work together and are collectively focused on the solution you’re trying to develop will directly impact how much of a difference you make. Third, take time to build your startup. Medics have a number of opportunities available to them, if you want to build a startup, its important to spend time and focus on it, rather than spreading yourself too thin. In most cases, startups take more time than you anticipate, so its helpful to factor this in. Aside from establishing the NHS Innovation Accelerator, you serve as Senior Fellow to the Chief Executive of NHS England. Can you talk about the position and what motivated you to apply for it? As a Senior Fellow in the Chair & Chief Executive’s office at NHS England, I’ve been able to focus on a range of national initiatives. For example, I helped develop the Five Year Forward View, published in October 2014, which outlined ambitions for the NHS over the next five years given the range of resources that may be available. Since then I’ve primarily focused on delivering elements of the Forward View, ranging from new models of care, to national preventative health initiatives. I’m also very fortunate to be able to accompany Simon Stevens, our Chief Executive, in several meetings, and on visits to NHS institutions. I applied for the position as I thought it would be a fantastic opportunity to understand and contribute to national policy and operations. I’m a strong believer in developing a range of skills, clinical and non-clinical, in parallel during clinical training, and I thought this would provide a means of working towards that. What does a typical week look like for you right now? If I’m honest, no week is the same, making my role very exciting but also unpredictable. I’ll have onsite and offsite meetings with leaders from across our organisation and others, spend time on the projects I’m working on, visit NHS institutions including hospitals, GP practices and research facilities, and probably most importantly, have some thinking-time with the team. What do you hope to achieve from your time in the role? In large organisations, I think its important to help teammates grow and to build long-lasting collaborations. In addition to this, I’d like to help deliver aspects of the Five Year Forward View, and to see the NIA develop into a successful programme. Through this experience, I’d also like to deepen my insights into national policy and operations, providing clinical input where possible, and aligning my work on the front-line, to projects I’m involved with at the national level. How does your work with NHS England and as a clinician within the NHS complement your entrepreneurial activities? Entrepreneurs aim to solve problems – its only by understanding what patients, clinicians and the system needs that you can do this effectively. Working at the front-line as a clinician and the grass-roots level in an entrepreneurial context, are highly complementary and informative of initiatives at the national level, and indeed vice versa. By strengthening the ties between each of these spheres, or interfaces, it allows you to develop more logistical and ‘joined-up’ solutions, aligning what’s needed, to what’s possible, to what we do. When did you first realize that you had an interest in management and innovation? Quite early on in medical school. When I was 19 I ran CONTACT, a charity offering different services to the housebound and elderly – this provided a unique combination of doing fulfilling work, and having managerial responsibilities. I later became involved with a couple of different healthcare startups, that offered the opportunity to use a similar combination of skills. When I was 23 I moved to the US, to study at Harvard University as a Kennedy Scholar, there I was really exposed to the potential impact healthcare innovation could have, I took some courses at the Business School, and School for Public Health, which sparked my interest in this space. Since then I’ve focused on building my experience in four areas – clinical practice, research, policy and business – centring these around innovation. What steps would you recommend that would-be medic entrepreneurs take to work out whether such a path might be for them? I’ve always learnt by doing, so if you have a great idea for a startup, try to make it happen. The number of entrepreneurial opportunities for students and clinicians to become involved with are only growing. The NIA is an example of this, but there are several other accelerators focused on different parts of the innovation chain. Healthcare startups are always looking for medical input, to ensure the solutions they develop are effective and useful for the clinicians and patients who’ll be using them. Some of these are listed on www.Enternships.com, a website providing entrepreneurial internships, and on https://connect.innovateuk.org/knowledge-transfer-networks. There are also courses on healthcare entrepreneurship in business schools across the country.